Zipnote: The notebook that helps new knowledge stick. Zipnote turns your notes into knowledge. Just write it down and we’ll help you remember it. Get Smart, Sign up today! With memory, it’s use it or lose it. Now, more than ever, you need to use it. Zipnote helps you harness the power of active learning and spaced repetition to help you remember what you learn, quickly. Spend less time learning and more time knowing. Take notes on what you're learning in Zipnote. 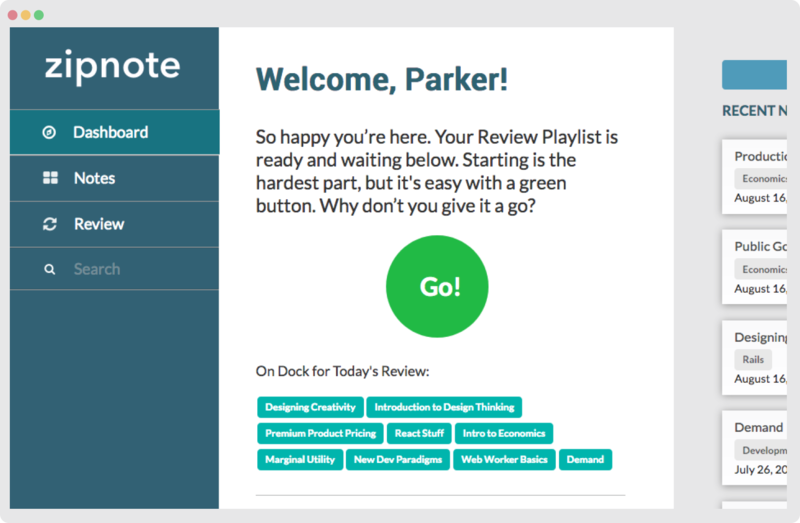 Our Review Engine figures out the best time for you to review what you've just learned. Quick regular reviews jog your memory and solidify your new knowledge. You probably already take notes when you learn. But often they lie forgotten for weeks or forever. Zipnote makes your notes useful by turning what you learn into reviewable Q&A cards. Just take your notes in Zipnote! 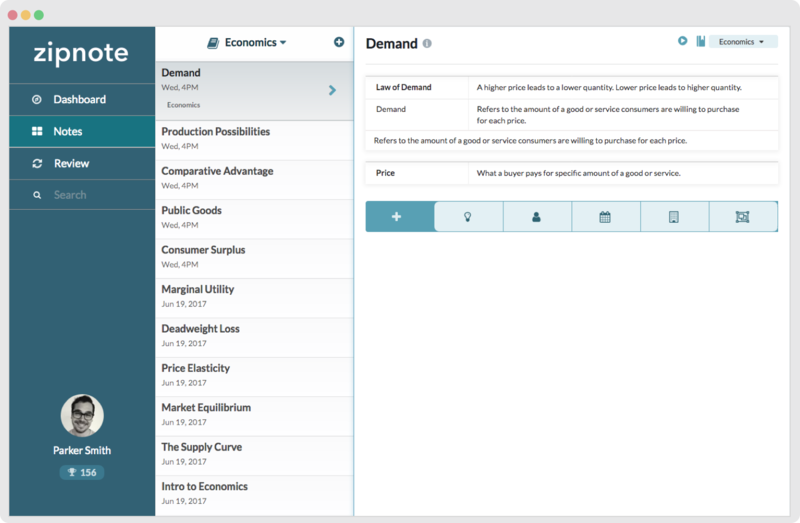 Use our easy, outline-based note format to add concepts, people, places and events you learn about. Every morning, Zipnote creates a bite-sized ReviewPlaylist of cards it’s time for you to review. You won’t have to think about what you should look over or when. Just login and start the playlist. You’ll think of the answer to each question, rate your response, and voila, no more cramming or forgetting!